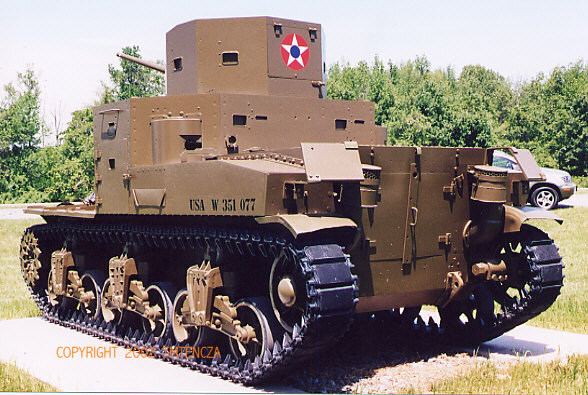 The machine guns were mounted in sponsons (4) with 2 in the front glacis plate. Two were pedestal mounted for AA use. Deflector plates at the rear were designed to deflect rounds into enemy trenches. Although plans called for 1000 to be built, only 94 were completed. 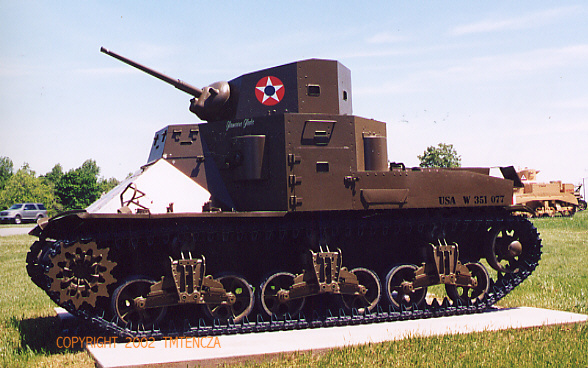 With the advent of the German Panzers with 75mm guns, this was an obsolete design and was relegated to training purposes. 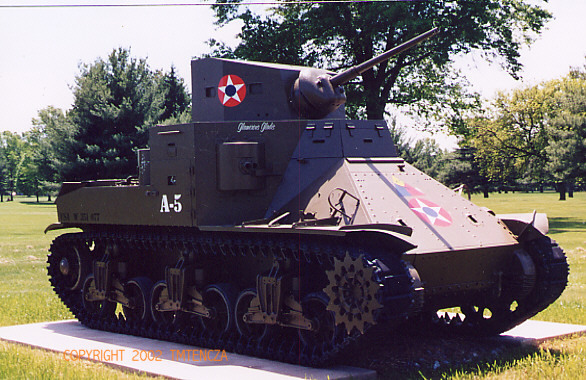 Nonetheless, its engine, suspension and chassis formed the basis for the M3 and M4 Medium Tanks which followed.